Various SIMION function like Refine and Fly’m can be invoked from the command-line interface. 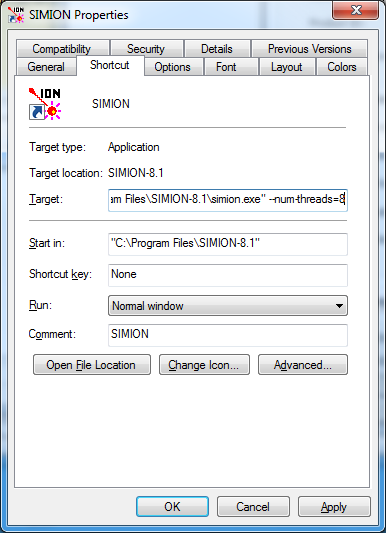 See the “Command Line Interface” appendix of the SIMION User Manual [8.0/8.1] for details. Some additional functions involing PA conversion can also be invoked from the SL Tools utility command-line (see SL Tools Tutorial). The command line interface is more limited than the Lua API’s (see Programming API for SIMION), but it is also possible to invoke a Lua script from the command-line API (simion.exe --nogui lua example.lua). You can also invoke the same command-line interface within Lua via the simion.command() function. This executes within the same SIMION process, not creating a new SIMION process (unlike using os.execute() or io.popen() on simion.exe which creates a new SIMION process). However as of SIMION 8.1, the new Lua API’s are often more flexible or at least can avoid writing to disk (e.g. simion.pas pa:refine() rather than the refine batch mode command). The Appendix M - “Command Line Interface” in the 8.0/8.1 SIMION User Manual lists the SIMION command line options. Below are recent additions to the command line interface not mentioned in the manual. simion.exe --lua <arg> [command] - Executes the given Lua string or file (if <arg> is preceeded by a @). The execution occurs after opening SIMION and executing any SIMION startup script (simion.lua) and prior to running any given command. The --lua option can also be specified multiple times. Another approach is to use a SIMION startup script (simion.lua file in the same folder as simion.exe). Disables printing of status messages. Whether to refine any PA# files entirely in RAM (0) or allow writing to disk (1 - the default). Note: Any PA0 files that are on disk, will be loaded from disk though. 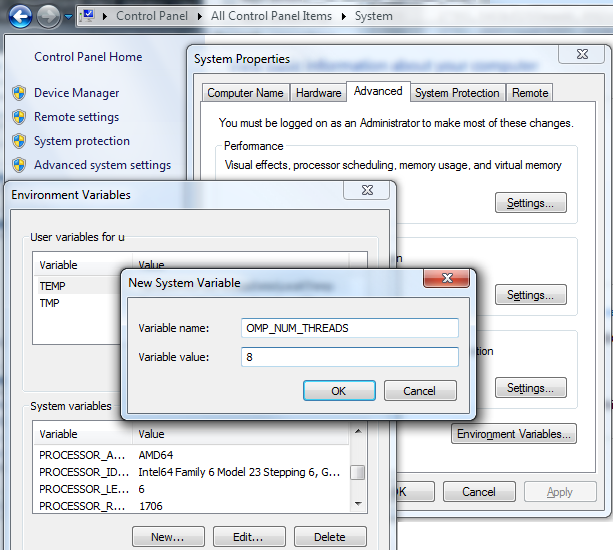 See RAM-only PA# Refine. Requires Early Access Mode 8.2EA-20141213(8.1.2.21). Sets the Refine convergence objective (in Volts or Mags) for any potential arrays automatically refined upon loading the IOB. This is equivalent to the refine --convergence=d parameter. Whether to resume refining, reusing any existing .pa[0-9] files. 1 (yes), 0 (no), or if omitted will prompt. See also the --quiet command line option. –quiet. You can invoke SIMION with special command-line options using a DOS command prompt (cmd.exe) or similar shell (e.g. PowerShell or Cygwin) or from an external program (which is outside the scope of this article). 8.2EA-20131213: Added fly –disk=d and fly –remove-pas=d.